We had more answers submitted to last week's quiz than we have ever had before and the majority of people were right on track as to what species was shown! We had 25 people submit an answer to this quiz and 21 got it correct! 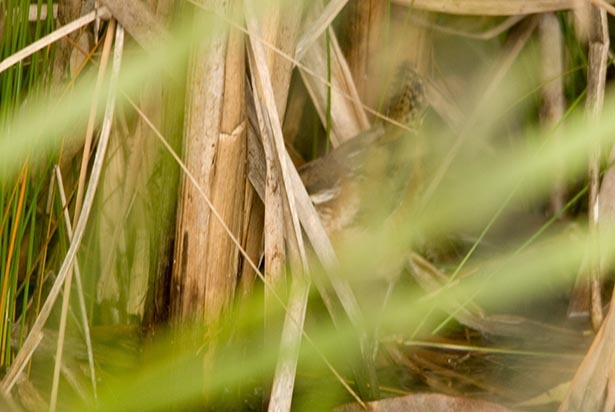 This bird is pretty well hidden but it does give us quite a few clues to look at to help us identify it. 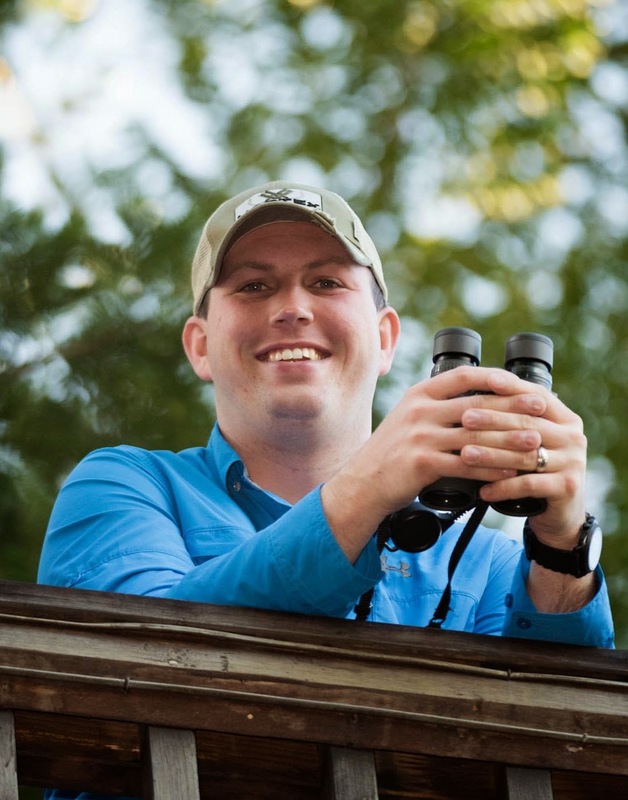 The bird is a rich reddish brown color over all. It has a brown crown and a very strong white supercilium. You can also tell that it has a short cocked tail with black barring on it. These factors lead us to the wren family and specifically to Marsh Wren. The most similar species, Sedge Wren, is similar but is eliminated by the rich reddish brown color and the strong supercilium. 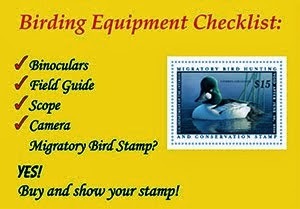 The second quiz in our series is now posted at http://nuttybirder.com/BirdQuiz/birdquiz.html#.UJfgpMVz5TK!